Not exactly what you were looking for? Contact us. 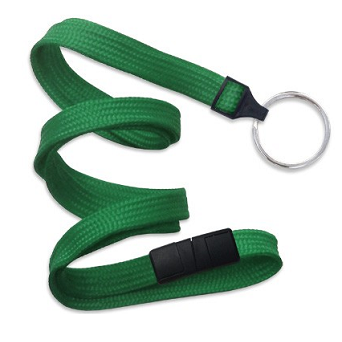 Breakaway Lanyard Green makes it easy to attach Share-IT! Key & Bag Tags. Breakaway Lanyard Green are also available in other colors, for example Blue, Royal Blue, Teal, Red, Maroon, Purple, Orange, Yellow, White, Black, and Forest Green. If you don’t see what you are looking for, send us a message. Quantity discounts are available, and for quantities over 500 Click here for quote. Create a festive Share-IT! Tag for your party, then include it with your Party Favors, they will love it! Great gift idea! Great to attach team sports bag tags and keep them year after year as memories! Use when traveling to keep all of your necessary paperwork and documents together and easy to access. Our hope is these Breakaway Lanyard Green 10 mm are a blessing to you. 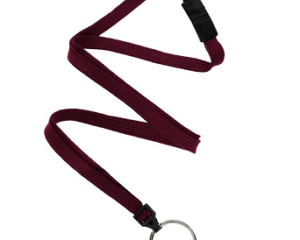 These high quality woven material lanyards are excellent for attaching bag tags or key tags. Vacation Bible School, Blessings of the Backpacks, perfect for ALL grades to collect, share and trade with friends! 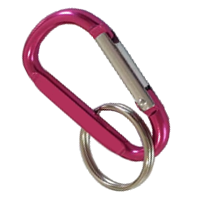 Add a Breakaway Lanyard Green 10 mm or split ring to collect and share them! In order to support your team, design Key Tags with your Team Logo. Great for Tennis, Soccer, Lacrosse, Football, Basketball, Baseball, Dance, Swim Teams and more. 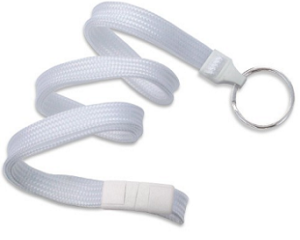 Attach a Luggage Loop White to their sports bag. Create Your Own Bag Tag! Encourage group involvement in the following clubs: Book clubs, Boys & Girls Scouts, Sororities, Dance, Gaming, Boosters, and PTA. Children Tags, for instance, grandchildren, nieces, nephews. A great gift for both Parents and Grandparents too! Grandparent Brag Tags! Finally, a great tool to memorize Scripture, and keep it close to heart. 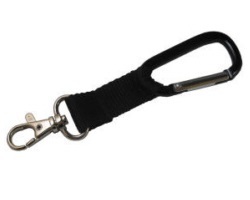 Carry them with you displayed on Breakaway Lanyard Green 10 mm or split ring! Our customers want to share their favorite bible scripture verse, personal message, acknowledgement or hashtag key tags. Hence, their shared words of encouragement, motivation and inspiration, memory celebrations, bring teams together. Our goal is to provide an economical way to reach out and share God’s Word and positive messages. Deliver your positive message or memories to as many people as possible. As a result, you can easily create a special keepsake, on an attractive key tag or bag tag. Please enjoy your Breakaway Lanyard Green 10 mm!